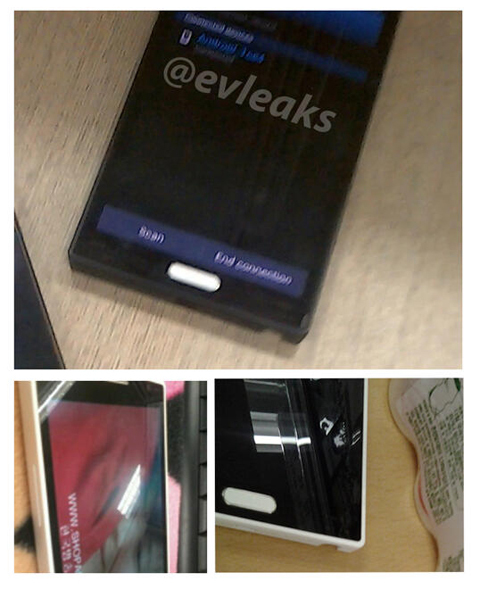 Speculations say this may well be the Samsung Galaxy Note 3, although I kind of doubt it. For one thing, it’s too bulky and also it’s not wide enough. 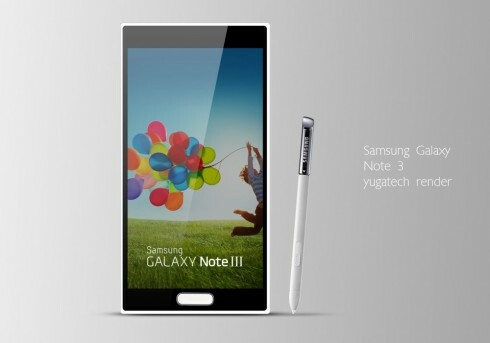 If we judge by the past years’ Samsung releases, the Note is always a bigger version of the current generation of Galaxy S model, so I expect the Note 3 to be a bigger Galaxy S4. It would be about time for Samsung to change that pebble design to something else, of course. I find this new design direction to be hugely similar to the one of the Nokia Lumias, but at least something’s changed. We haven’t gotten rid of the Home button, that’s even more highlighted now, if we judge by these shots. Could Samsung be preparing a rectangular edge Galaxy Note 3?